Fasting can be defined as willingly abstaining from food and/or drink. Intermittent fasting has been used throughout history for religious, spiritual and health reasons. More recently, intermittent fasting has become a method of weight control. According to Mark Sissons, author of lifestyle and diet book "The Primal Blueprint," intermittent fasting—IF for short—can promote rapid weight loss and is aligned with natural hunter-gatherer behaviors, simulating when food supplies were periodically scare. Intermittent fasting offers a very simple method of weight control. By strategically skipping meals you reduce your overall energy intake and, providing you avoid overeating before or after your fast, you will consume significantly less calories. By consuming fewer calories than you need, your body will burn body fat for fuel and consequently you will lose weight. IF requires no special preparation, specific foods, supplements or cooking ability which makes IF convenient for anyone who want a simple, no-frills approach to weight loss. According to "The Miracle of Fasting: Proven Throughout History for Physical, Mental, & Spiritual Rejuvenation" by Patricia and Paul Bragg, intermittent fasting as associated with a number of benefits and the effects of IF have been studied both in animals and humans. 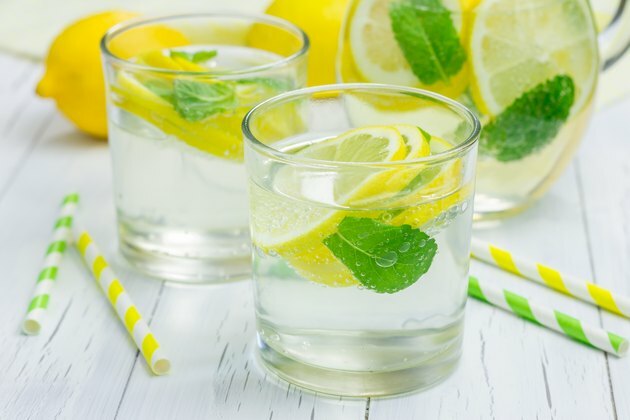 The authors say IF can lead to lowered blood glucose levels, reduced blood pressure, increased sensitivity to the action of insulin, increased fat metabolism, digestive system detoxification and increased fat metabolism. Intermittent fasts can vary in length from a few hours, for example missing a meal, to abstaining from food for 24 to 48 hours. The length of your fast depends on your will-power, previous fasting experience and daily physical activity levels. If you are new to fasting or very active, fasts should be limited to eight to12 hours initially to ensure you suffer as few ill effects as possible. So-called daylight fasts are ideal for fasting novices. A daylight fast means that you have an early breakfast and a late dinner and consume only water in the hours in between. A more advanced fast might involve eating only on alternate days. Alternate Day fasting, ADF for short, is much more demanding than the daylight fast. While simple to follow, intermittent fasting is not without disadvantages. Eating less than normal can trigger severe hunger in some people while others find that they tire easily, suffer head aches, nausea and have trouble concentrating. Because of hunger, fasters may find that they eat more than usual both before and after a planned fast which essentially eliminates the benefit of the fast. See your doctor to confirm your medical suitability to fasting before trying any form of fast. Although short fasts are seen as safe and can be effective for weight management, longer fasts can have an adverse effect on your short and long term health. Rapid weight loss can be easily regained during the post-fast period if you eat too much. Fasts do not address your day to day eating habits and fail to teach correct food selection or portion control. Fasting can be socially exclusive -- especially within a family setting where meals are eaten together. Longer fasts may cause muscle atrophy -- a condition where muscles are broken down for energy -- which may result in a lowered metabolism.